There is something about travelling early morning. The excitement of embarking on a journey to a new place combined with the positivity of early morning is infectious. That’s exactly what I felt when I set off for exploring the diverse destinations of North Gujarat. As my auto sped along the empty streets of dawn, a cool breeze brushed against my face and I saw the first rays of the sun caressing the still sleeping city. As a traveller, I often prefer offbeat destinations and remote locations rather than popular and touristy ones. Moreover, I try to experience a place like a local, seeping in the local culture, talking to the local people, tasting local cuisines. It inevitably brings out the local favour of a place and also offers a deeper understanding of a destination beyond its usual tourist spots. In that sense, Gujarat is one of the lesser explored regions of India. If one delves beyond the stereotyped tags of vegetarianism, spirituality and business-mindedness, then one will discover the rare gem of places that the 6th largest state of India hides behind its expansive area and peaceful exterior. With this aim, I decided to explore the North Gujarat trail that promised a unique mix of places with diverse interests. I also decided to travel only by local transport and not use any private vehicle. In that way, not only will I be able to plan my itinerary freely but also get to travel like a local. I started my journey from Ahmedabad, the convenient base for travelling around Gujarat. My first stop was the ancient Sun Temple of Modhera. I took a shared jeep which are available all over the state. The advantage of these are that they are damn cheap and ideal for solo travellers while the disadvantage is that you have to wait until the entire jeep gets full and the drivers shove in ludicrous numbers of people in the little space so it can get a little cramped. If you are not comfortable with shared jeeps, you can avail state buses from the central bus station at Gita Mandir or a train from Kalupur Railway Station. I waited for 20 minutes while the jeep filled up slowly with passengers. Finally as it started and I felt the cool morning wind in my hair, the joy of the journey made my spirits rise. The driver started playing Gujarati folk songs which formed the perfect backdrop to the journey. I got down at Modhera chokdi and after breakfast, I took a trekker to Modhera village and another shorter one from there to the stop in the highway where the temple was situated. 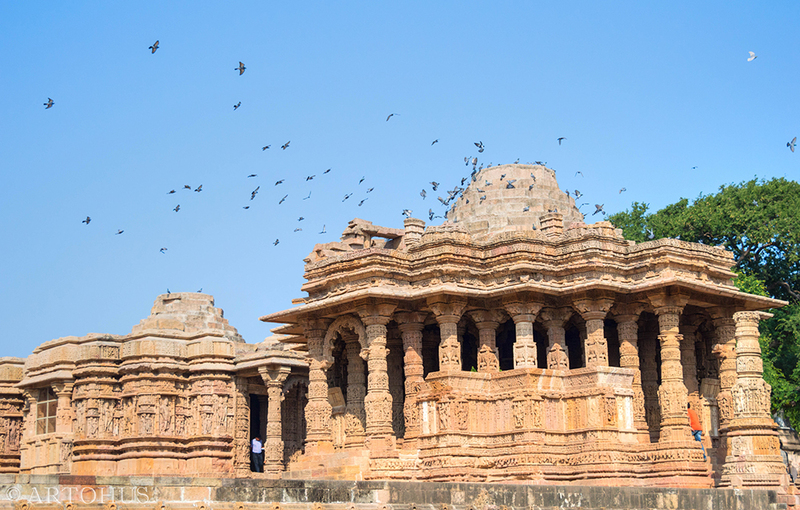 The Sun Temple of Modhera is located in a beautiful complex with well-maintained lawns. The temple, dedicated to Lord Surya, has exquisite architecture. Built by Bhimdev I of Solanki dynasty, the temple complex is of the Maru-Gurjara style and comprises three sections: a shrine known as garbhagriha, a hall known as gudhamandapa, an outer hall or assembly known as sabhamandapa or rangamandapa and a sacred reservoir or kund. The entire temple is built on a platform in the shape of an inverted lotus. Wandering around the complex, I noticed the intricate carvings on pillars and calm green waters of the kund. I imagined how the rangamandapa will fill up with people and what a grand setting it will be for the three day Modhera Dance Festival that takes place in January every year. Next on the route was the ancient city of Patan. Buses from the Sun Temple to Patan can be obtained from the highway. Getting up in one of them, it took me an hour and Rs. 20. As the bus slowly entered the bus station, I looked out and noticed a bustling, dusty little town overflowing with shops and people. Once the erstwhile capital of Gujarat for 650 years and a flourishing centre of trade, learning, architecture and religion, today Patan’s claim to fame is the renowned Rani-ki-Vav, a UNESCO World Heritage Site, and the world famous Patola saris. Both of them are located close by. I took an auto from the bus station which, winding its way through the old city with broken fort walls, dropped me at Patola House. Patola House is home to the Salvi family, the only remaining family continuing the ancient tradition of Patola weaving. Patola is a very complicated process of weaving using the double ikkat style where the warp and weft threads are dyed carefully according to a pre-designed pattern and then woven. It takes 4-6 months to make a sari and the only other place where this style is used is Bali, Indonesia. 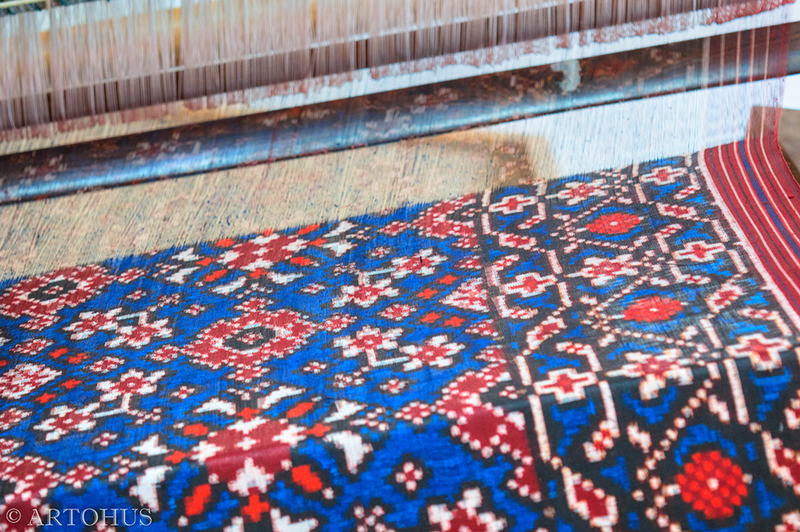 Currently, this ancient tradition is being continued by the 36th generation of Patola weavers. As I met the youngest weavers, Rahul and Savan Salvi, they explained me the entire process of weaving a Patola sari. With that complicated a process, no wonder the saris were so expensive! They told me about the Patola Museum, which was their initiative to preserve the rich heritage of Patola weaving. The museum documents the history and process of Patola weaving and also houses some of the oldest woven Patola saris, including the striking Shikarbhat and the exquisite Dhaka mulmul. Right near the entrance is a huge handloom where the weavers weave the Patola saris. The Salvi weavers are recipients of several awards and the museum resounds incessantly with the footsteps of visitors from far and wide. I felt humbled to observe such a primitive heritage of India so painstakingly preserved by its passionate practitioners. The straight road from there led me to Rani-ki-Vav. 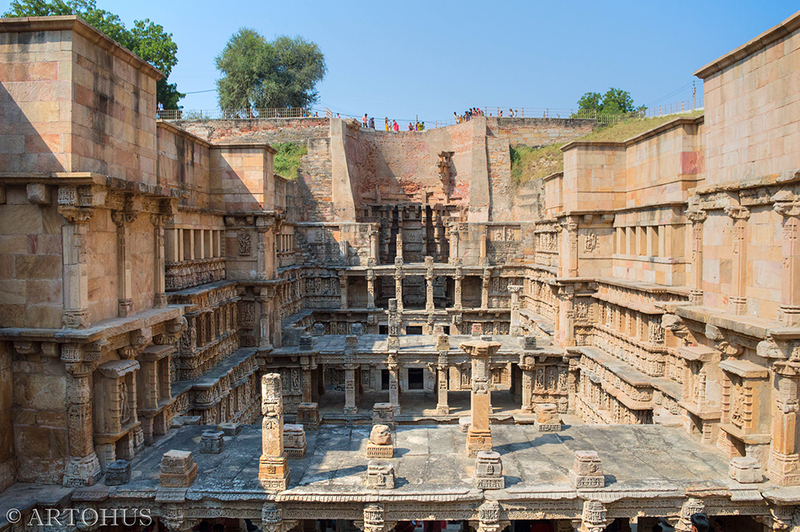 In a country where most memorials are built by kings for their queens, Rani ki Vav or the Queen’s Stepwell is an exception, being built by Queen Udaymati in 11th century in remembrance of her husband. It is a magnificent stepwell with an underground flight of steps descending down interspersed with regular landings. On the walls and pillars were exquisite sculptures of gods and goddesses. I was fascinated to know that the underground stepwell led all the way up to Siddhpur, about 30 kms away, which was next on my list. I didn’t take the underground tunnel though! Rather I took the morning bus from Patan to Siddhpur. The bus dropped me off at a deserted bus station that almost seemed like the end of the world. Outside the bus station, the city disappeared into a maze of narrow, dismal alleys. Chancing upon an auto driver, I asked him to take me to the havelis of Bohra Muslims. It took me a while to make him understand where exactly I wanted to go. After a while, the auto driver nodded his head in acknowledgement and asked me to hop on. I happily did so, little realising that it was going to be a ride of my life. We first stopped at a tea stall. He said, “Pehle chai piyo. Yeh bahut accha chai banata hai. (First drink tea. He makes very good tea)”. So there I sat with my luggage in an unknown city, sipping one of the best teas I have ever had with an auto driver. It was experiences like these that made travel all the more worthwhile for me. Siddhpur is a holy city flanked by temples, kunds and ashrams. 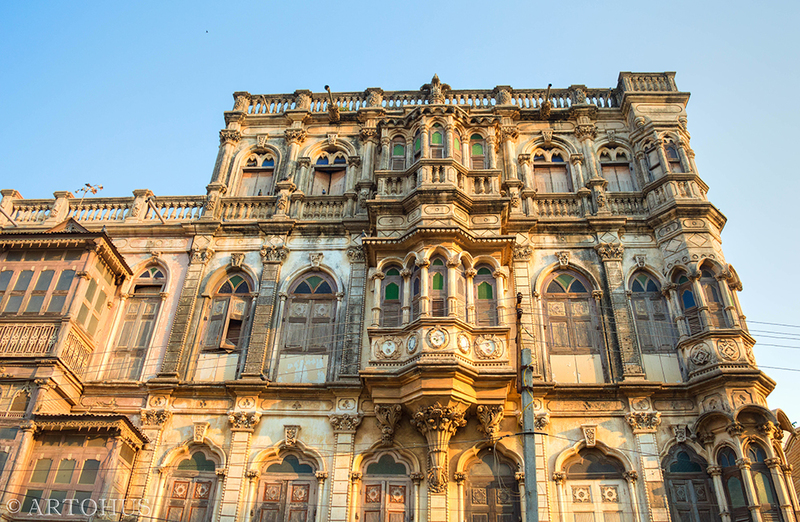 However, the most striking feature of the city are the residential havelis of Bohra Muslims. Enamoured by the way of living of 19th century Europe, they built their own havelis based on Victorian architecture. This created an entire area known as Bohra Vad, walking by which will give you a feeling of walking along the streets of Europe. Wandering along the crowded streets, that’s exactly the sight I saw in front of me: lanes after lanes of gorgeous mansions with fascinating architecture standing proudly for 100 years. It was almost as if I was strolling through old Europe. I rode around the town, the auto driver becoming my impromptu guide. He showed me the Rudra Mahalaya Temple, a magnificent 12th century temple dedicated to Lord Shiva with beautiful torans. After that we reached Bindu Sarovar, also known as Martu Gaya or Martu Shraddh, where all obsequies of maternal ancestors were offered just like those of paternal ancestors are offered at Gaya. I pored over the places, taking my own sweet time in taking photographs, while the auto driver patiently waited, looking after my luggage, eager to show me even more. As he dropped me off at the bus station, I thanked him profusely. I have often had people telling me how courageous I was in travelling all alone and how the world was a big, bad place. Somehow this incident made me realise how all of these fears are so misplaced and how the world is actually filled with kind people whose warmth and humanity will make you feel humbled. There were no direct buses to Vadnagar, the next destination on my itinerary. The bus from Siddhpur dropped me at a station called Kheralu from where I took another one to Vadnagar. A passenger asked me if I was a tourist and I nodded. He mentioned it’s a good thing that I was travelling in the morning since the route was not safe for travelling at night due to thefts and robbery. I felt a little thankful after hearing him. 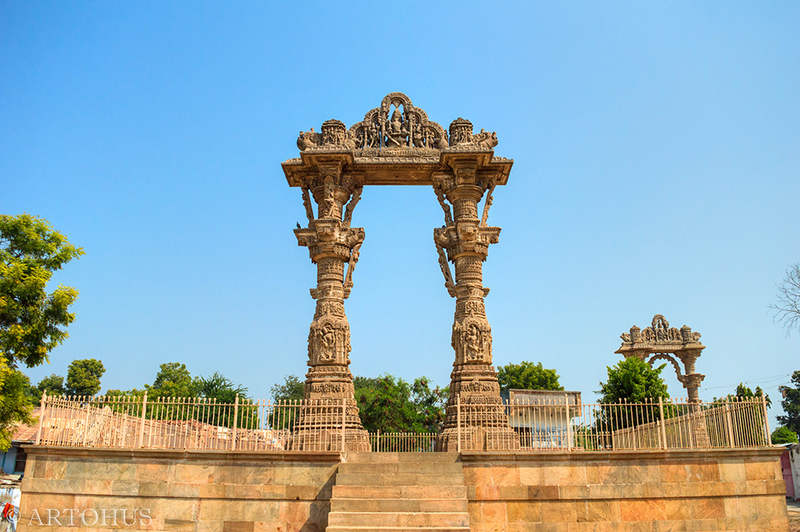 Vadnagar is good for a day trip as the most important thing to see there are the Kirti Torans, or triumphal arches, on which are carved geometric and floral designs. 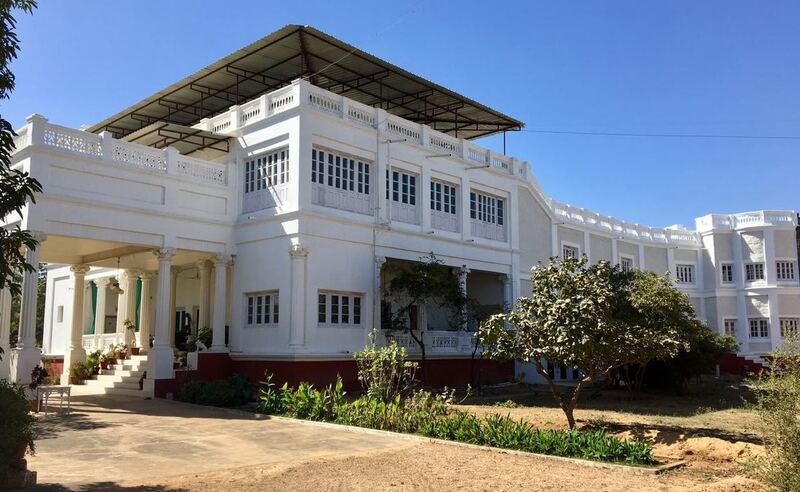 Vadnagar has a government guest house, Hotel Toran, a remote place on the highway from where commuting to the main town becomes a major issue unless you have your own vehicle. This was by far the most adventurous part of my entire trip as it involved a lot of trekking. Since there are no direct buses to Taranga, I had to return to Kheralu and from there take a bus to Taranga. As the bus ascended the steep slopes and the air started getting a little cooler, my heart leapt with joy. Located around 20 kms from Vadnagar on the Aravalli range, Taranga is a revered Jain pilgrimage spot with a cluster of Jain temples visited by both the Shvetambar and Digambar Jains. The bus dropped me at the central plateau where the dharamshalas and temple offices are located. This is also where the grand Ajit Nath Prasad Vihara is built in beautiful light sandstone. It has large spires, enormous pillars and exquisite carvings. In the centre is a 5 m statue of Shri Ajitnath, a Jain Tirthankara, sitting in lotus position, carved from a single block of marble. 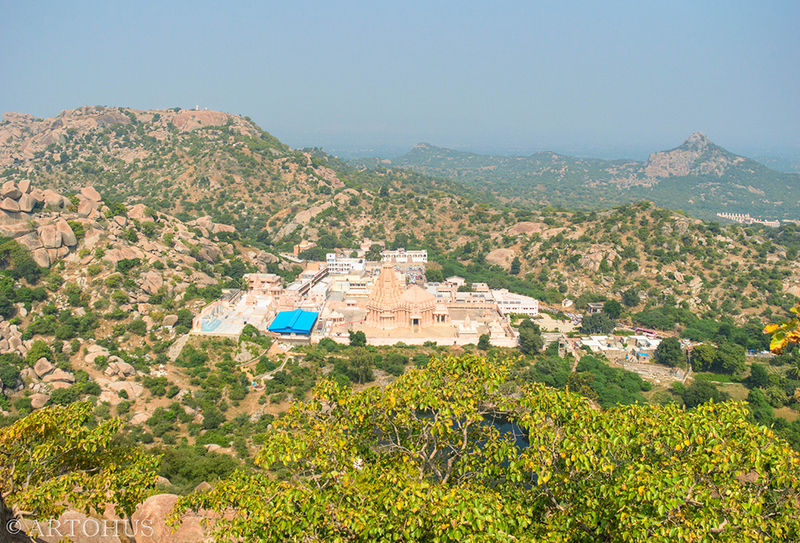 On either side of the Ajit Nath temple are two hillocks named Kotishila and Siddhshila. Climbing up to the two temples on these hillocks are popular among pilgrims. In fact, the Taranga tirth is one of the five most important mahatirthas of the Jains. 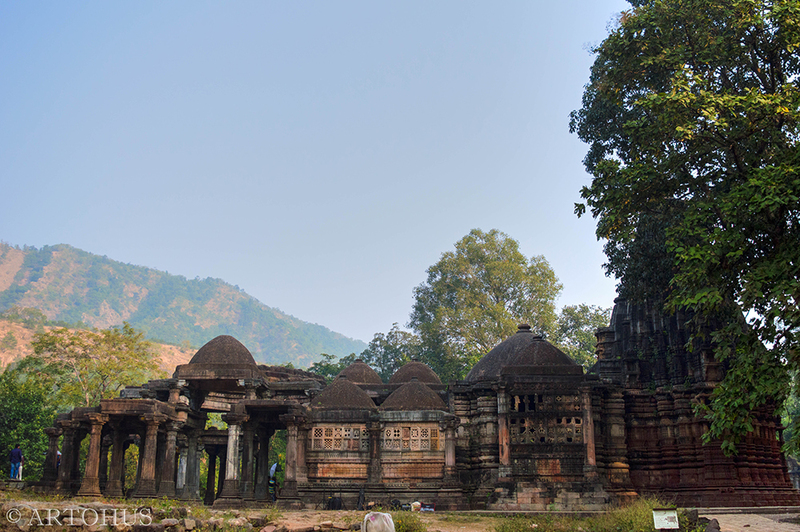 The temple of Kotishila can be reached from inside the Ajit Nath temple only. It has well cut out steps up to the temple and is an easy climb. Once up there, I was spellbound by the silence and the beauty of the surrounding mountains. It was as if a sense of peace had pervaded my soul and every bit of the climb seemed worthwhile. Siddshila is a little steeper and hence requires some effort. The views from there are breath-taking too. The two can be completed in one day only. You can climb Kotishila in the morning, descend, have lunch, rest a bit and then climb Siddshila in the evening like I did. The lunch is served in the Ajith Nath temple complex. You will have to buy a coupon of Rs. 30. The food is delicious and the cool water will refresh you. Also nearby are the Kumbhariya Temples, white marble temples dedicated to Jain Tirthankaras, 40 kms away from Taranga and Taranga Fort, near the highway. To navigate around Taranga, it is easier if you have your own car since public transport is quite minimal. 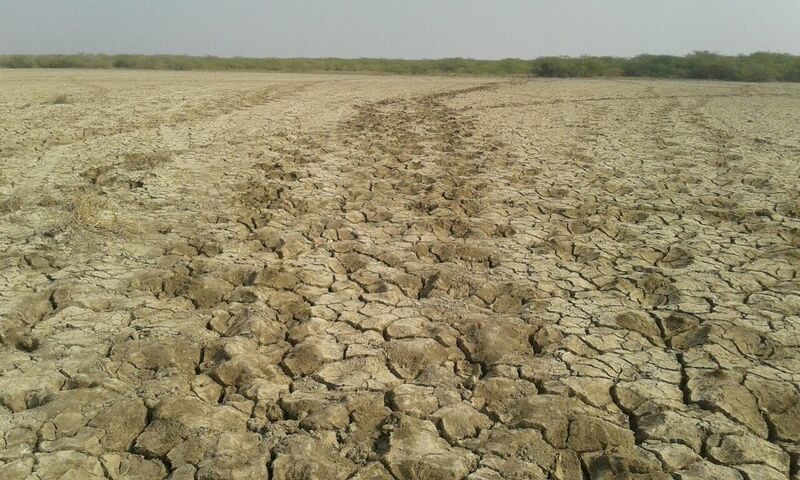 Reaching Idar from Taranga was a little difficult for me because transport was not easy to get. I had to take an auto to the nearest village called Vav. From there, there are occasional buses to Idar and Himmatnagar. Luckily I got a bus from there before it was dark. I was received by the royal family of Idar who had their residence at The Dowlat Vilas Palace, Himmatnagar. Idar, historically named Ilvadurg, was a princely state and finds mention in the Mahabharata. Currently in the Sabarkantha district of Gujarat, the Idar state was established by H H Maharaja Anandsinghji in 1731 AD. The Dowlat Vilas Palace, the current private residence of Maharaj Narendra Singhji of Idar, son of Late Maharaj Shri Umegh Singhji, was built by Maharaj Mansinghji, the second son of H H Maharaja Dowlat Singhji in the 1920s. Presently, the palace has been turned into a heritage hotel with accommodation, banquet and conference facilities. The son of Maharaj Narendra Singhji, Maharaj Karni Singhji, took me around the grand palace, built in a mixture of British and Rajput architecture. 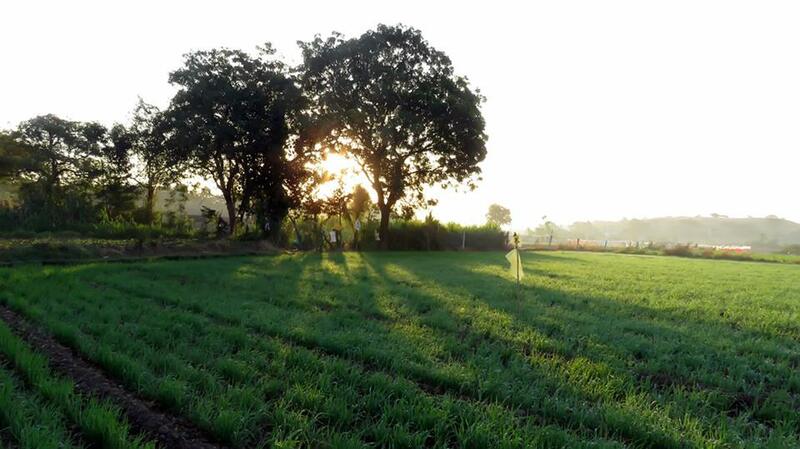 There was a mango orchard that grew the Idar Ratan mango, which was specially made for H H Maharaja Himmat Singhji. 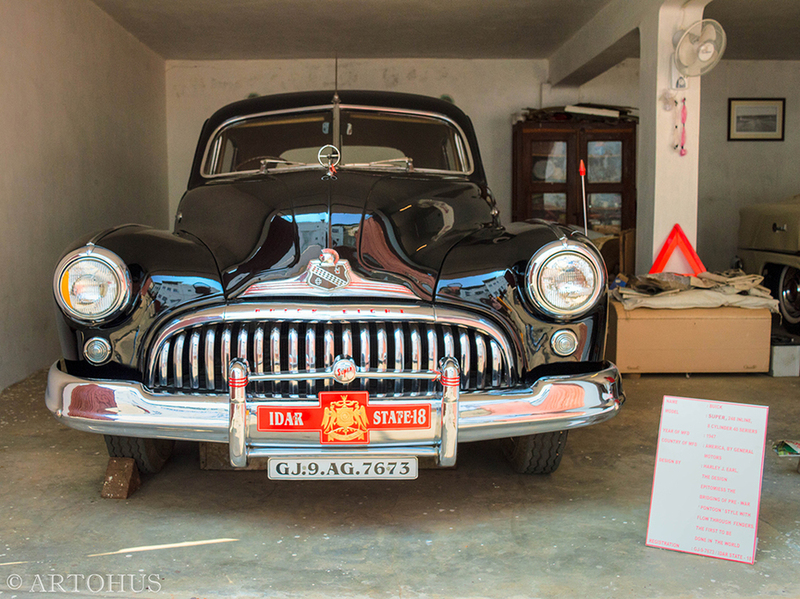 Beside it was the vintage car museum which had vintage and classic cars, bikes and carriages that the family has owned for 2 generations, including a Buick and a Mercedes Benz. I joined the royal family for an ensemble luncheon at their palace. 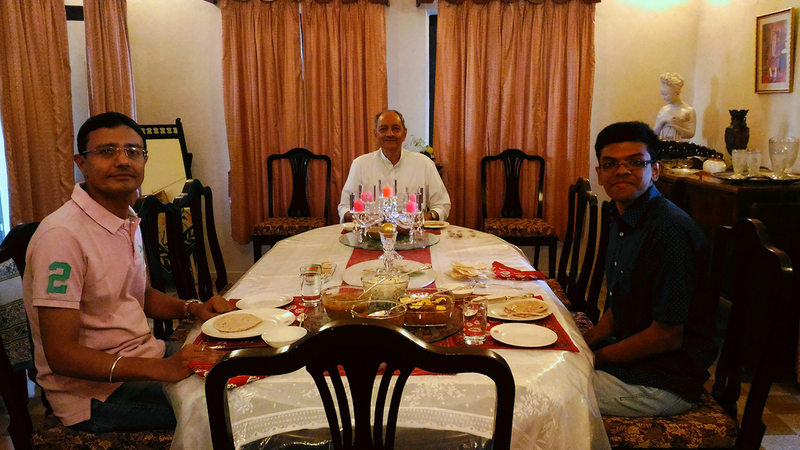 It was an extraordinary experience to get a slice of royal life while hearing anecdotes of old days. After lunch, we went for a tour of the princely state of Idar. The clock tower marks the beginning of the old town. A few remnants of the kingdom are Idargadh Palace, Idar Fort and Roothi Rani no Mahal. On the way, Maharaj Karni Singhji shared stories and legends of the ancient monuments. The fort of Idargadh is built on a set of hills that is so steep and rocky that it was almost impregnable. It is one of the reasons why Idar state has never been conquered. Higher up on a single granite peak is the Roothi Rani no Mahal or the Angry Queen’s Palace. The story goes that Rao Narayanji had an ulcer on his back which the Rani spotted while he was being dressed and she expressed her lack of hope on the king regaining the throne. Annoyed at this, the king refused to see the Rani’s face. Insulted with the treatment, the Rani left the king’s palace and built her own palace on the highest peak and lived there her entire life. As they say that the best is saved for the last. The same can be said about my last destination on the trip. 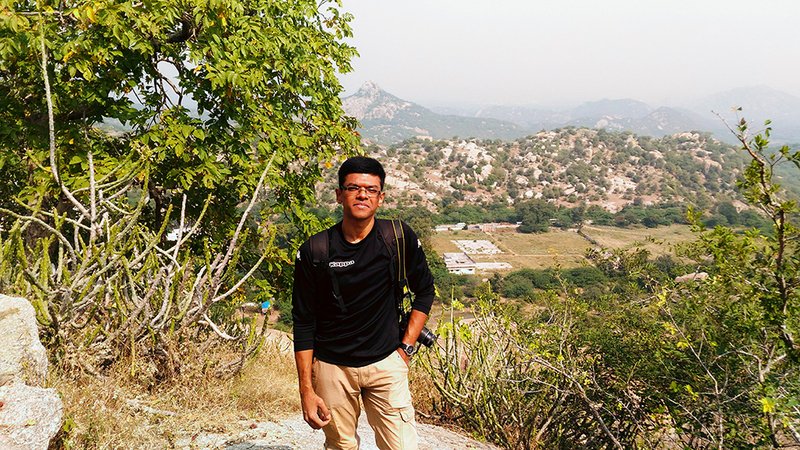 My final stop was Vijaynagar and it made me feel I didn’t want to leave the place and return. I boarded a bus from Himmatnagar that passes along the road through the Polo forest and dropped me at Vijaynagar. 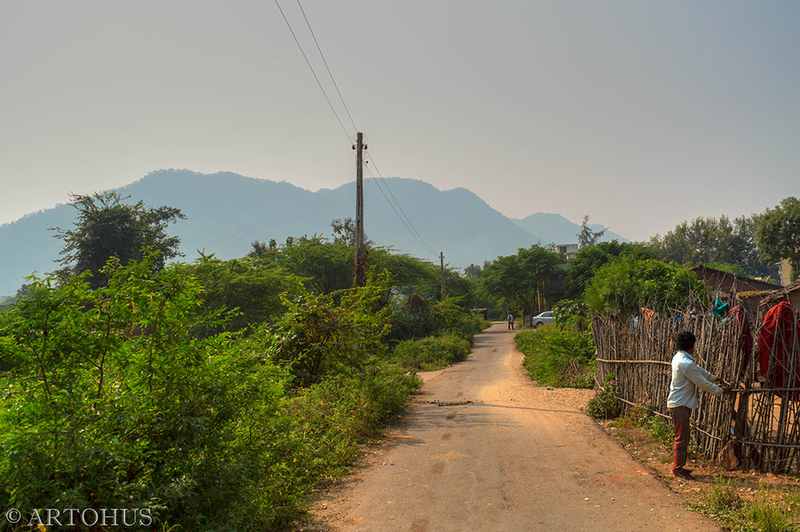 My stay was going to be at Vijay Vilas Vijaynagar, an eco-tourist homestay tucked in the lush Polo forests. 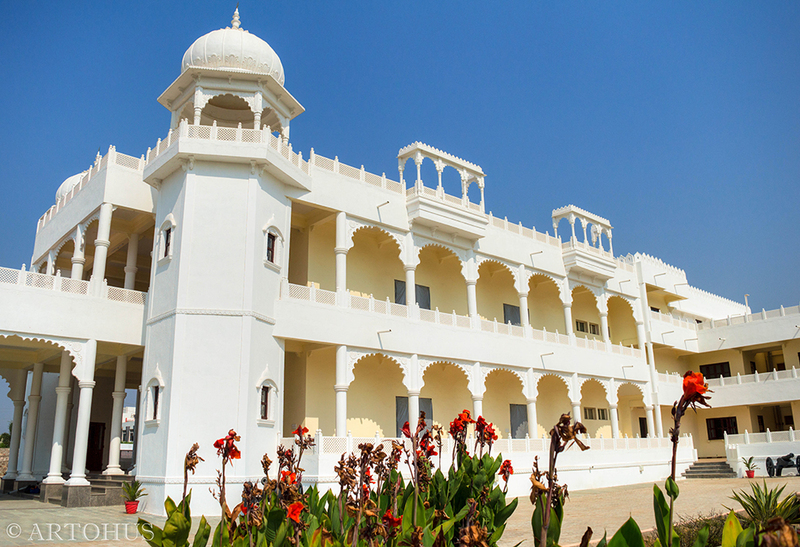 The resort is run by Maharaja Vijay Vardhan Singh Rathod, 27th descendant of the Rathod dynasty, and his wife, Maharani Asha Kumari Devi. A princely state, just like Idar, Vijayanagar is an ancient city that was once considered the gateway between Gujarat and Rajasthan. Today, it is a perfect getaway with a mix of history, spirituality, tribal life and natural beauty. After a homely meal, Maharaja Vijay Vardhan Singh Rathod took me on a sightseeing tour. Maharaja has a good knowledge of the entire terrain and is also familiar with the local tribes, hence he acts as the perfect guide to explore the area. 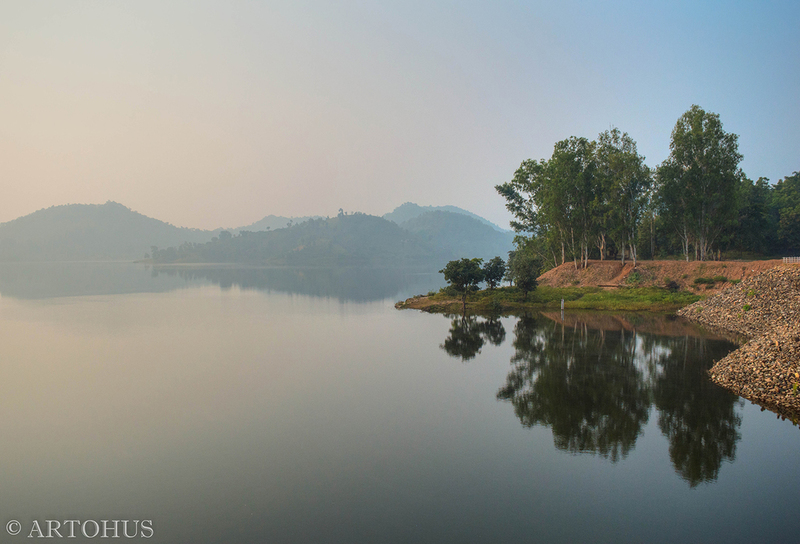 A scenic drive led us to Harnav Dam, from where we watched a spectacular sunrise that revealed the beauty of the forests. 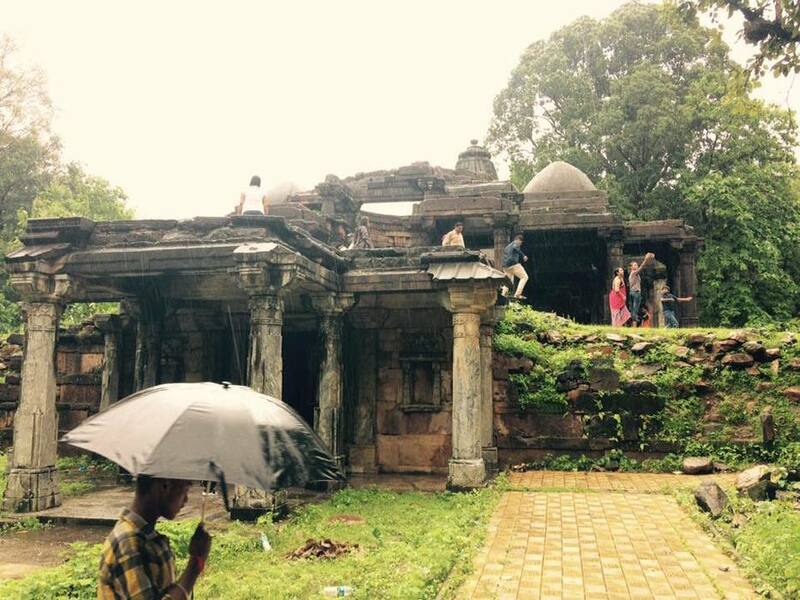 We stopped at the ruins of 10th and 15th century temples scattered along the jungle. The popular temples are Vireshwar Mahadev Temple, Ashram and Antarsumbha Temple, Polo Jain Temples and Shiv Panchayat Temple. Looking at the desolate ruins in the forest transported me back to days of the ancient kingdom. The forests are also historically important as this was where Maha Rana Pratap hid during his battle with Akbar and spent his last few days. Maharaja can show you the exact place where he prayed. Being familiar with the tribal people, he also took me to some tribal home. The simplicity of their lives, their unique dresses and the way they still retained their culture amazed me. Finally, when it was time to go, I couldn’t help but feel a tad melancholic. But for a traveller like me, goodbye was always round the corner and new experiences always replacing old ones. In any case, exploring the North Gujarat trail was one of the most fulfilling experiences I had and one I was going to cherish for a lifetime. 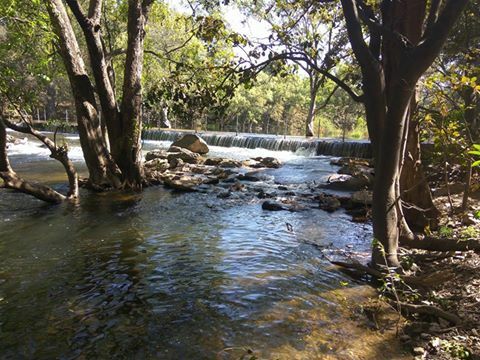 Have you been to any of these amazing destinations in North Gujarat? Do let me know. Would love to hear your stories.